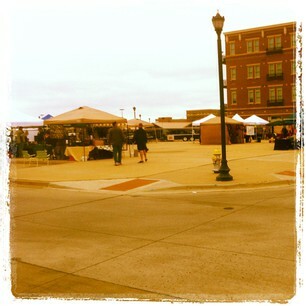 Today, I went out to the Frisco Farmers Market at Frisco Square. I have to say, it was a lot of fun! Even on this cooler Saturday morning, locals started setting up their spots early this morning and officially opened up for business at 8:00am. Everyone I spoke to (both shopper and vendor) was incredibly nice and inviting, and I left feeling a real sense of community. And while I was there, I couldn&apos;t help but splurge on handfuls of goodies! Village Bakery Co. - I bought a DELICIOUS Almond Croissant here for $2. It was amazing and I wish I would have left with more than one! 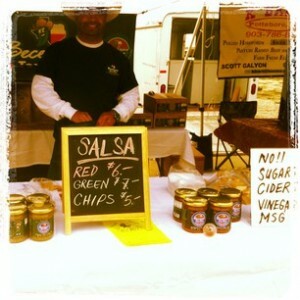 Beccerra&apos;s - I got to sample a couple different salsas here, and I knew I had to leave with a jar. Both red and green salsas were mighty fresh and tasty, but the red really won it for me! Littlee John&apos;s Plant and Produce - These guys had colorful table filled with various fruits and veggies. 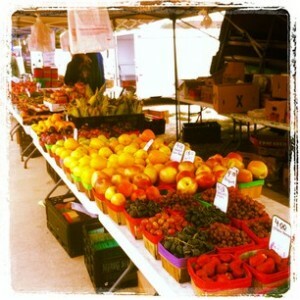 They graciously helped me narrow down my selection by recommending their popular and juicy tomatoes. I&apos;m glad they did, because these tomatoes taste amazing! 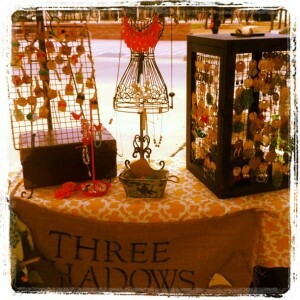 Three Shadows Designs - I hadn&apos;t planned on jewelry shopping when I arrived, but I couldn&apos;t help myself and "accidentally" purchased 3 things (2 sets of earrings and a necklace). This Indie chic jewelry shop offered quality and unique selection with great prices ($26 for all 3!). I have no doubt that I will be back soon and would HIGHLY recommend this Saturday morning event to everyone in Frisco to try at least once. You won&apos;t leave disappointed! 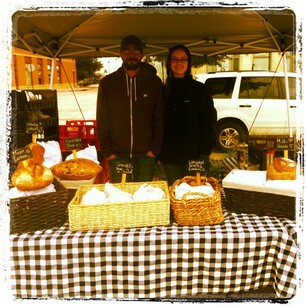 They are out there every Saturday from 8am - 1pm (or sell out). See you next Saturday!